I've had similar thoughts about many volumes of BASS. I don't think it's the guest editors' faults entirely -- putting the question of the stories' diversity aside for a moment, there seems to be a systemic force pushing the books toward the sort of stuff published by The New Yorker and Harper's and the best-known of the lit mags. The guest editors change, but it's rare that a volume is published where the guest editor's taste seems especially different from her or his predecessors'. The exceptions are volumes like those of Michael Chabon and Stephen King, but even there the exceptions are a few stories, not the whole -- and it's the whole that's really the issue. Individually, the stories in the books are 99% of the time unimpeachably "good": aesthetically accomplished (but not "difficult") and emotionally affecting (but not in any uncomfortable or challenging way), fitting a very mainstream idea of what "literary quality" means. And occasionally they're a whole lot more than that. But an anthology isn't just a collection of good stories. There are more good stories published in a year than can fit in one book (or, if you're particularly critical, no single year produces an entire book's worth of good stories). 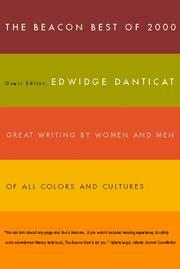 An anthology's meaning and purpose, its implication and effect, derives from its selection. I glanced at the table of contents for the Russo volume when it came out, and it seemed to me unadventurous, so I didn't read it. Previously, I'd been very excited when Salman Rushdie was announced as a guest editor, but when I saw his volume last year -- a volume that could have been called Best American Short Stories from Harper's and The New Yorker, Plus a Couple Extras -- I was appalled. I've long been fond of John Gardner's 1982 BASS for two reasons: 1.) he wasn't much interested in fiction from the "slicks", and 2.) he said he'd read a lot of science fiction, but nothing much struck his fancy that he saw -- he clearly would have loved to have included at least one SF story, if he'd found one that fit. It's not that I hate the slick magazines -- I subscribe to them! -- but that they don't really need more exposure, at least not in the way that little magazines do. And in some ways, including a bunch of their stories feels like cheating: they pay so well and are so prestigious that they're able to attract the world's best writers, leading to a certain general level of quality. If you don't feel like exposing yourself to the whole range of American short fiction, sure, you can get plenty of entertainment, and occasionally even some enlightenment, from the slicks. But you're getting a very narrow vision of what American short fiction is and can be. In some ways, Richard Russo's apparent preference for stories about rich white folks gives a good focus to the anthology. I mean, it's not a book I have any interest in reading (I don't even like The Great Gatsby, the rich white fantasy novel to rule them all! ), but at least it's got some coherence, and the choice of fiction from the usual sources especially makes sense, since generally those are publications aimed at rich white folks (if their advertising is anything to go by, at least). Remember the short-lived Beacon Best series? I loved those books, and they opened a whole world of literature to me. 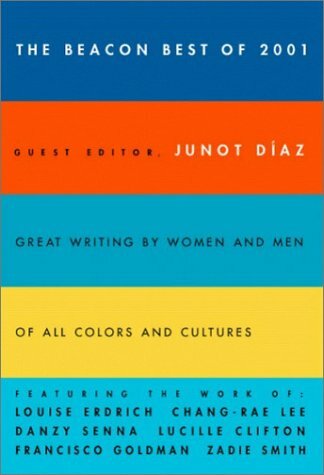 They were edited by Ntozake Shange, Edwidge Danticat, and Junot Diaz. 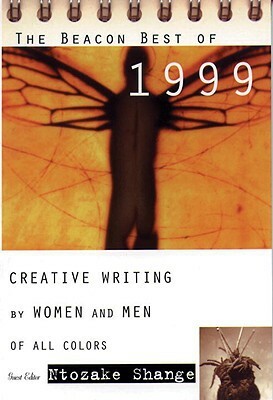 The goal of the series was to show the diversity of of writing out there -- they didn't limit themselves by region or by form (the anthologies contained all types of "creative writing") -- and they certainly had a different feel from BASS and even The Pushcart Prize (which also includes a wide variety of types of writing, and only draws from small presses). I don't know why the Beacon series only lasted three volumes, but I suspect it had something to do with sales. Sigh. As marketing strategies go, aiming for rich white folks isn't a bad one. With continued growth in the income gap, ever-rising Wall Street bonuses, and the U.S. government's utter subservience to corporations and businessmen, in the future the only people who will be left with any discretionary income for books are likely to be exactly the people Russo's BASS is all about.